Do you expect HR to check in with you regularly throughout your first year? 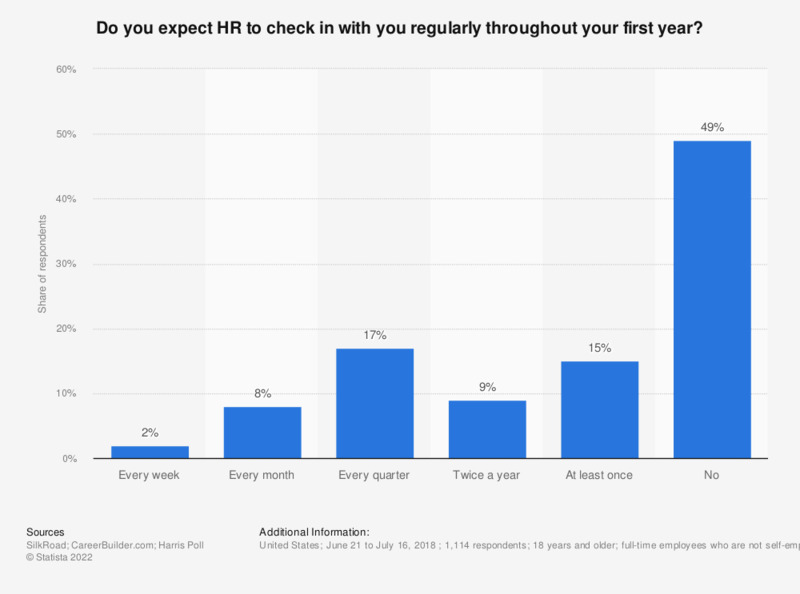 This statistic depicts the share of employees in the United States who expect HR to check in with them regularly throughout their first year in 2018, broken down by frequency. During the survey, 49 percent of respondents stated they do not expect HR to check in with them regularly. full-time employees who are not self-employed. To what extent does onboarding continue after the first week? How does your organization use technology as part of your onboarding program? How does your organization empower employees throughout the onboarding process? How important is it to your company that employees have good relationships with one another?